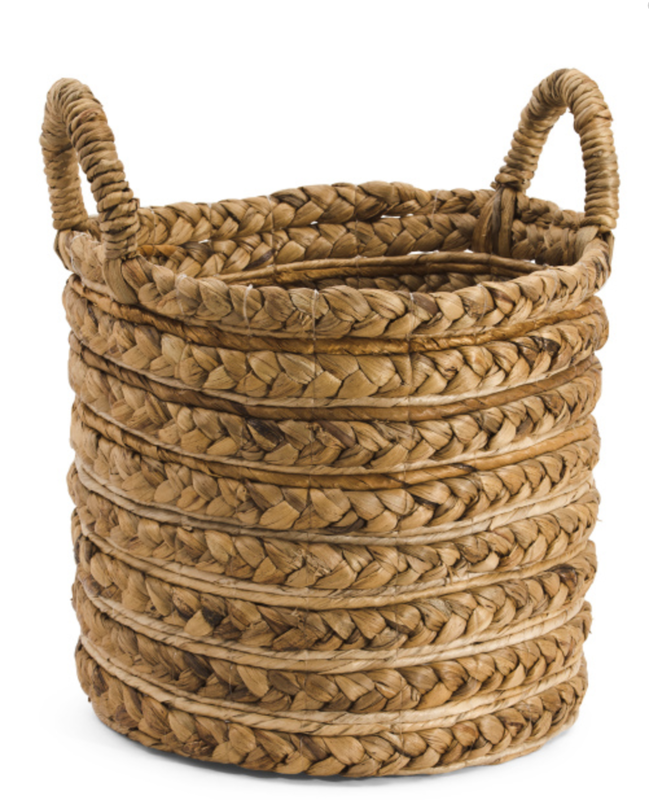 We have a variety of baskets in our home that all serve a different purpose for our family. 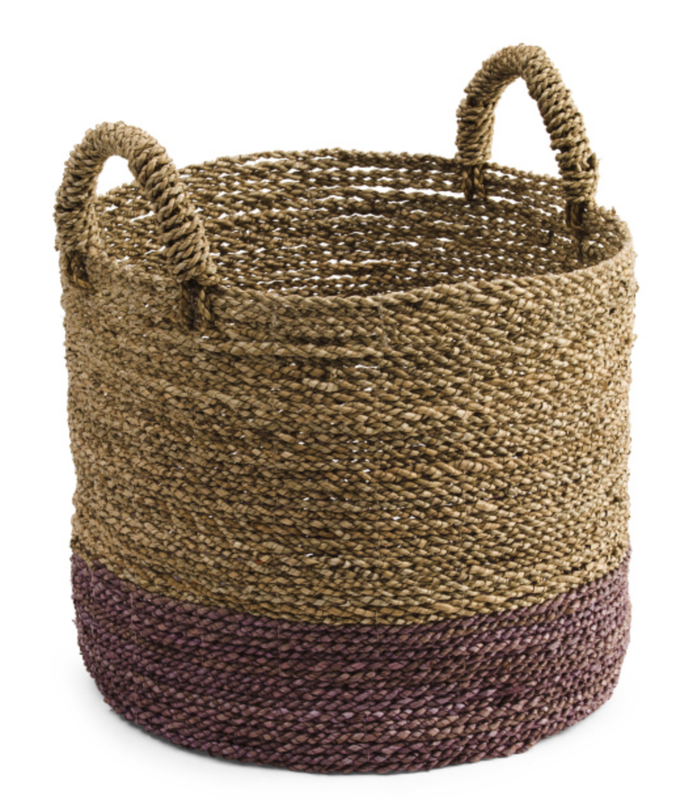 Today, I’m sharing 10 baskets and how we use them. We recently built these built-in shelves. One of the reasons we wanted to build the wall was to have a place to put kid toys so we could quickly pick them up and get them out of the way, but also easily get them back out to play. 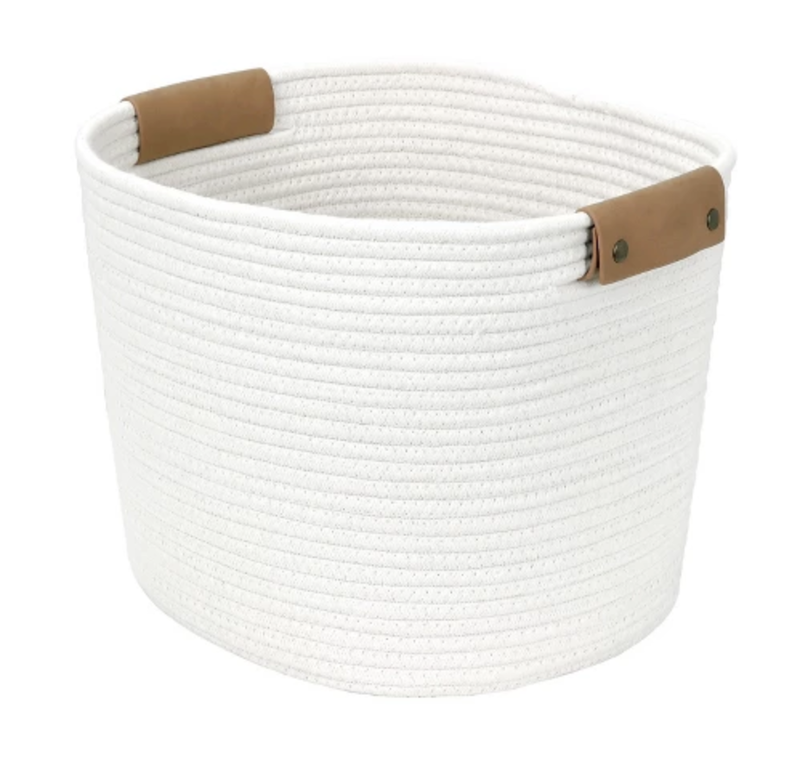 I originally purchased both the white and the leather baskets because I thought they looked good on the shelves. Well, I quickly learned these baskets are more about function than looks, so we ended up with all white baskets. They hold A LOT of toys/books and are perfect for the space. 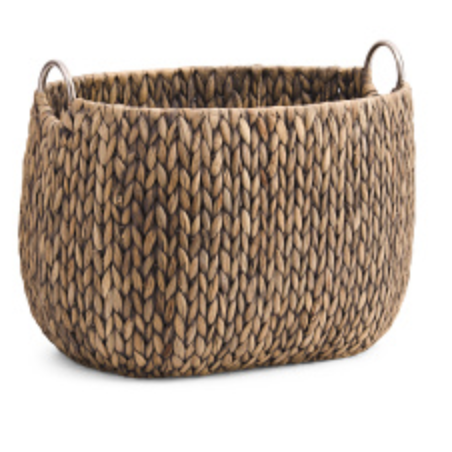 I still adore the leather baskets, however, I would use them for something that wasn’t going to be thrown around or used by kiddos. Currently, we have one basket for mega blocks, one for books, one for random toys and one for soft blocks. Small grey baskets for a bookshelf. I was in the process of figuring out where these baskets fit the best, and three of them just happen to fit here perfectly! When our baby was first born, we filled these baskets with diapers and wipes, blankets, bibs, etc. They are still on this bookshelf but filled with our charging cords for the iPad, computer, etc., some small baby toys and art supplies. They look cute, but also function really well by keeping things we use often right near us, but also out of sight. They have different sizes and are similar to the white ones, just without the leather handle. Wire baskets in the kitchen. This small wire basket adds a little bit of texture and color to my white kitchen, but also serves as a spot for dish towels and occasionally a loaf of bread that my husband throws in there. I bought mine at TJMaxx a while ago and it came with burlap inside. I’ve linked a few similar baskets here. 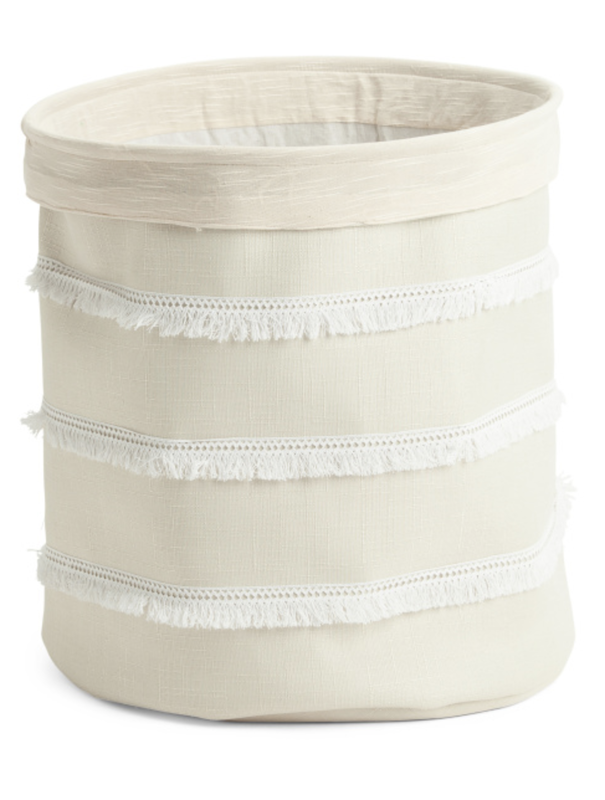 We currently use this basket for blankets in the nursery. It’s perfect! I also use one of the same baskets in the living room for the dog toys. I bought this basket from Lowe’s a while back, but this one is similar from Target. We have a crazy amount of wicker baskets. Quite honestly, we don’t use all of them because I have my favorites. But, the ones we do use are mostly full of blankets! The one in this photo I found years ago at an antique shop and I LOVE IT. I’ve also used them for pillows (more of a decor purpose). And also as the base for a Christmas tree! Sadly, the baskets I have are no longer in stock. I’ve linked a few similar ones below. These small baskets are currently being used in our nursery to hold onesies, PJs, bibs, socks, blankets, etc. They work perfectly on the shelf or floor! 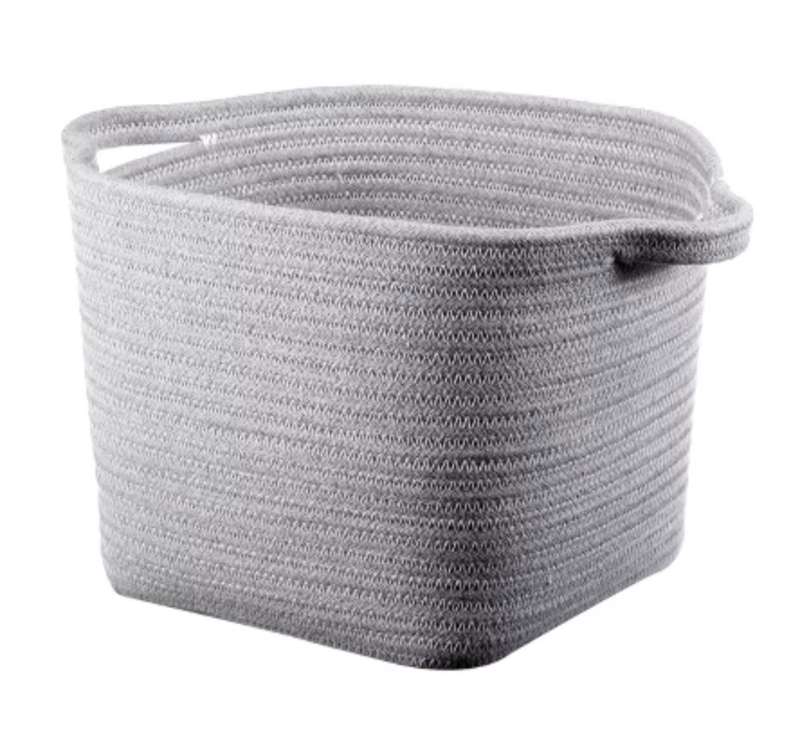 The grey basket comes in different sizes, and the wicker baskets I have on the shelf are no longer available, so I linked some similar ones here for you. 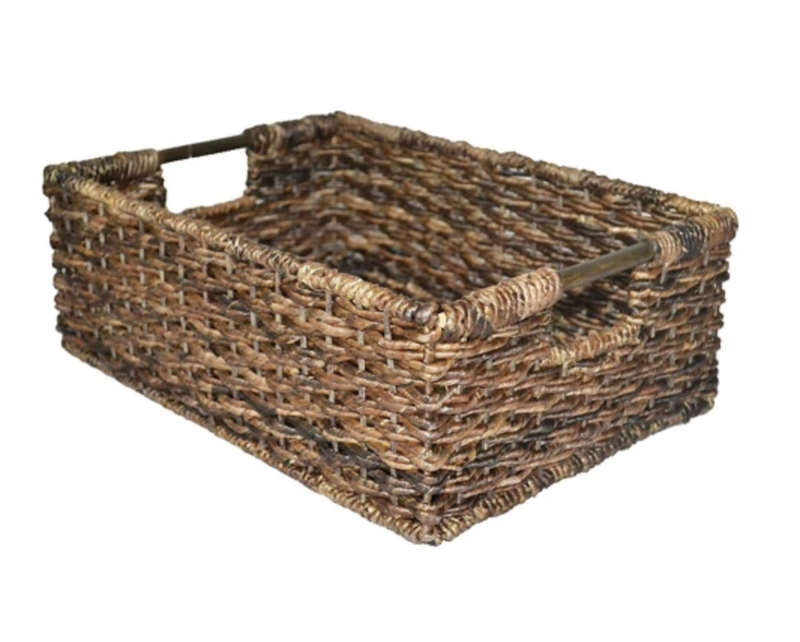 Basket trays are one of my favorite things to put on a dining table or coffee table. They look cute and can hold a lot of small things. Ours typically can be seen with money, cards, screws, safety glasses, etc. It sometimes becomes a catch all for random small items. The one in the pictures above came from Home Goods. I linked some similar items below. These baskets come in a few different sizes. They can hang on the wall or be carried around/sit on the floor. We are currently using them in the nursery to hold tons of books. 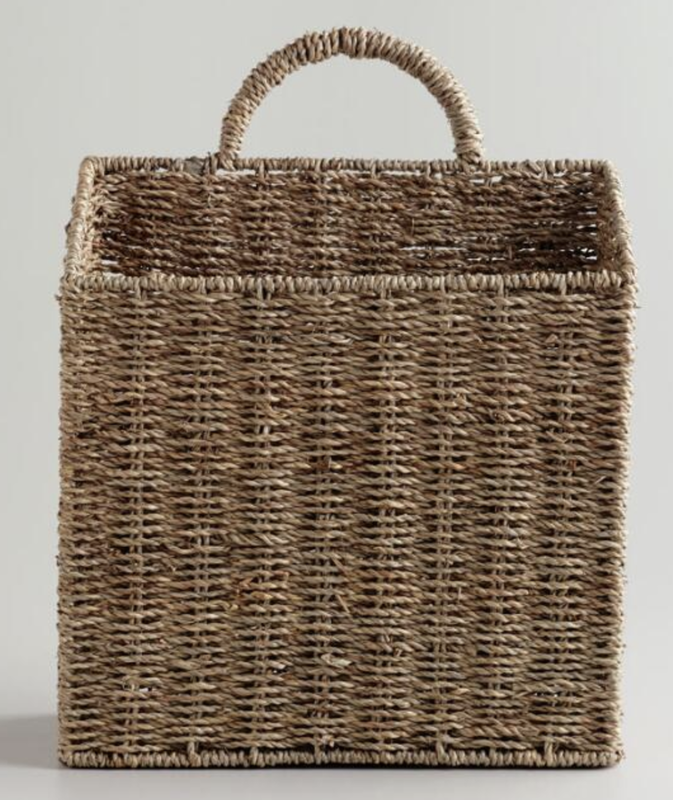 You could also use the small/med baskets to hold mail or other items. 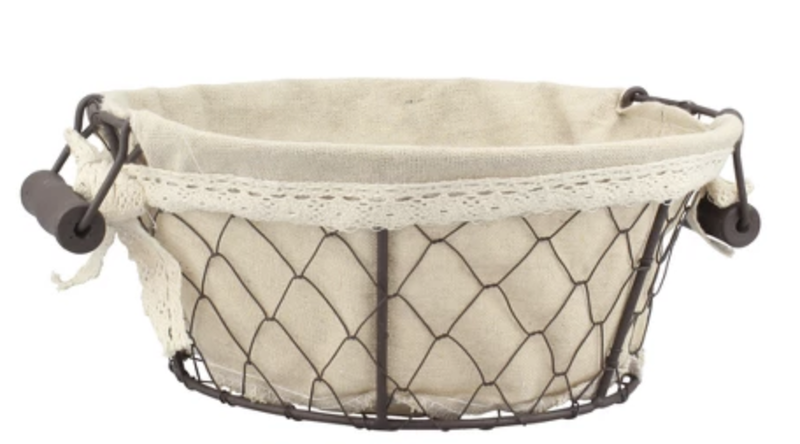 I purchased these large/small baskets at TJMaxx a while back. We currently are using them for our daughter’s dirty clothes. They could also be used for stuffed animals, blankets, etc. 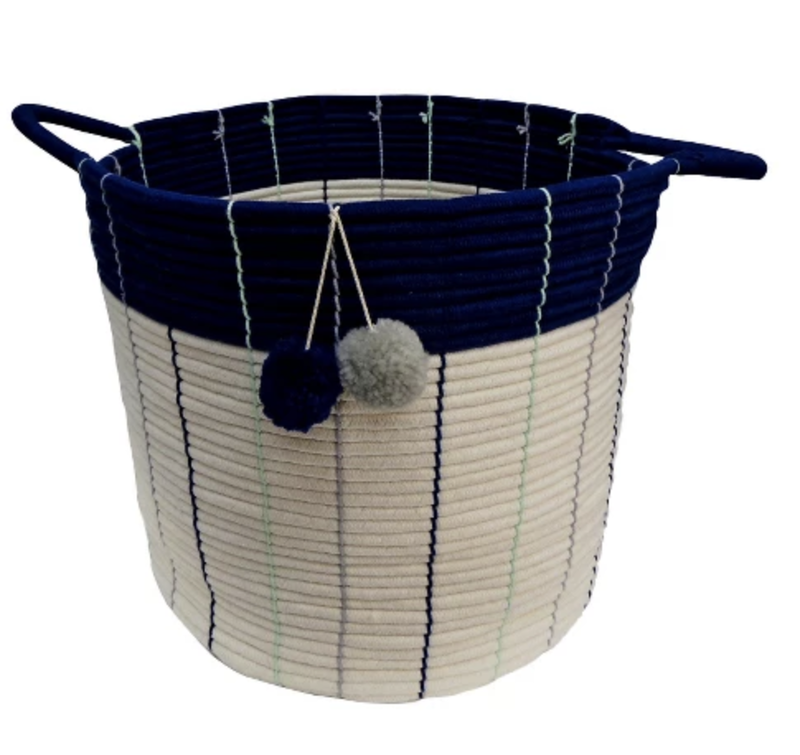 These baskets come in handy right by the door to toss the dog leashes, gloves, hats, etc. Since the ones I have are antiques, I found a few similar items, linked below. 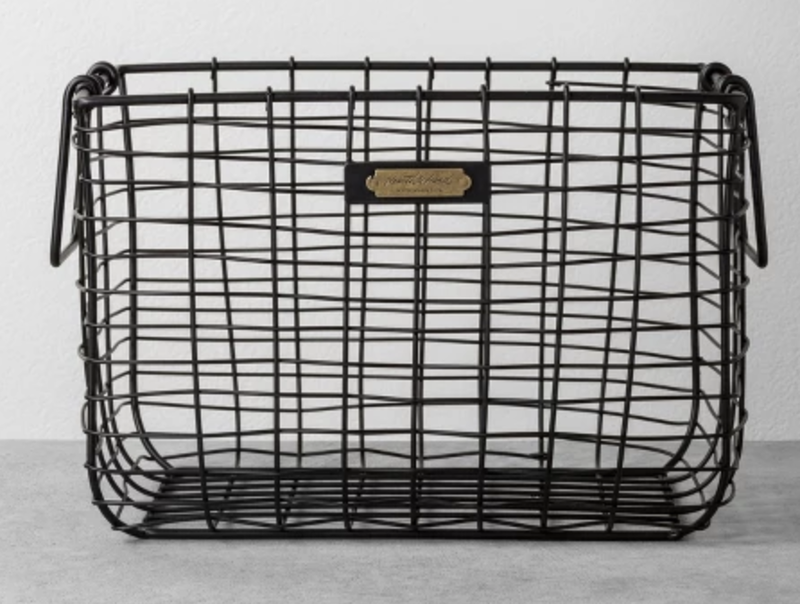 There you have it - 10 basket types to help organize your home! P.S. - If you liked this blog post, you can get others delivered straight to your inbox and it’s FREE! Just sign up below! Newer PostMaking your own engineering prints for your walls.